As general rule, professional liability is subject to the tort liability or contractual liability legal framework, depending on whether or not there is a contractual relationship between the parties to the dispute. Pre-contractual liability may be applicable in some cases. On one hand, professional liability claims may be brought by the professional's client. The terms and conditions of the agreement entered into between the professional and client govern the extent of the duties and liability of the professional. 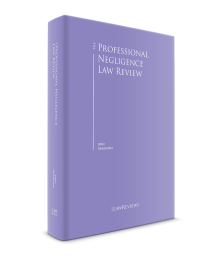 Nevertheless, professional standards should also be taken into consideration in the assessment of a possible act of professional misconduct through negligence. In this case, professional misconduct should be assessed under the contractual liability framework. On the other hand, the conduct of professionals may also have a legal impact on third parties. For instance, there is no contractual relationship between investors in bonds issued by a specific company and a rating agency that overrated those bonds as a result of a negligent evaluation that in turn led those investors to subscribe to those bonds, which were not refunded because the issuer became insolvent. 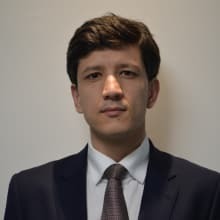 In this scenario, the potential professional liability of the rating agency towards the investors should be assessed under the tort liability regime. The general legal framework of tort and contractual liability is established in the Portuguese Civil Code (PCivC) (Articles 483 et seq. and Articles 798 et seq., respectively). Specific acts of professional misconduct may also be considered crimes or administrative infractions governed by the Portuguese Criminal Code or specific criminal and administrative laws (for instance, the Legal Framework of Credit Institutions and Financial Companies, the Portuguese Securities Code and the Legal Framework on the Taking-up and Pursuit of the Business of Insurance and Reinsurance). Additionally, there are sectoral laws that set out specific rules on the liability of specific professionals or complement the general legal framework established in the PCivC. For instance, the Portuguese Companies Code sets out specific provisions on directors' liability, such as the business judgement rule, which exempts directors from liability when they act on a duly informed basis, free from any personal interest and according to reasonable business criteria. In this regard, Law No. 53/2015 of 11 June 2015 on the legal framework of professional corporations regulated by professional public associations and the statutes of professional public associations should also be highlighted, as it contains relevant provisions on professional liability, disciplinary measures and administrative infringements. As general rule, professional liability claims must meet all the following requirements: (1) unlawful conduct (either by act or omission) of the professional defendant; (2) guilt of either wilful or negligent misconduct (except in cases of strict liability); (3) causal link between the conduct of the professional and the relevant damage claimed by the claimant; and (4) damage suffered (either actual losses or the loss of profit). While these general requirements should apply to both, there are important differences between the legal frameworks for tort and contractual liability; for example: (1) the claimant has the burden of proof under both regimes, but the professional is presumed guilty in cases of contractual liability and has the burden to rebut this presumption; (2) limitation periods applicable to contractual liability are longer than limitation periods applicable to tort liability; (3) in tort liability the court may award compensation lower than the amount of the actual damage (based on the ex aequo et bono criterion) with reference to the degree of guilt of the professional, financial status of the parties and further circumstances of the case; (4) unlike the contractual liability established in the PCivC, joint and several liability is applicable to tort liability (and also to commercial obligations). In some specific cases, the applicable criterion is more demanding than the average standard of conduct. For instance, matters of liability resulting from the preparation and approval of prospectuses are assessed with reference to high standards of professional diligence pursuant to Article 149 of the Portuguese Securities Code. Furthermore, financial intermediaries and their professionals should always act in accordance with high standards of diligence, loyalty and transparency (Article 304 Section 2 of the Portuguese Securities Code). In a number of cases, professional defendants will try to challenge and discuss the level of the relevant professional standard to demonstrate that his or her conduct meets the applicable professional standard. For this purpose, it is common to produce evidence through expert witnesses and experts on the applicable professional standard. In extremely technical disputes, lawyers and judges may be advised by technical advisers during examination and cross-examination of expert witnesses and experts. From a practical point of view, one of the most significant difficulties that claimants face is proving that the conduct of a professional defendant should be considered a suitable or adequate cause of the relevant losses (causal link), especially in cases of negligence. The claimant has the burden of proof as to the causal link regardless of whether tort or contractual liability is applicable. This causal link does not require the proof that the relevant damage resulted directly from the specific negligent misconduct, but rather that certain misconduct was suitable or adequate to cause the damage. A professional may have been negligent, but if this negligent conduct was not suitable or adequate to cause the losses borne by the claimant, then the claim should be dismissed. Claimants often encounter obstacles to the proof of the relevant causal link, particularly in disputes related to losses resulting from subscription to unsuccessful investments in financial instruments upon the advice of a financial intermediary. In this regard, professional defendants often argue that the financial losses borne by investors resulted from the investment risk rather than any breach of information duties. Lastly, professionals may enter into professional liability insurance policies. Actually, professional liability insurance is mandatory for some professionals (for instance, lawyers, notaries, auditors, certified accountants, doctors, insurance intermediaries, gas assemblers and operators, real estate agents, port operators, real estate appraisers for property investment funds, credit intermediaries and credit or financial consultants services and travel agents). Limitation periods for the commencement of professional liability claims depend on the nature or type of civil liability. If a professional liability claim is based on tort liability, the right to compensation generally expires after three years (Article 498 Section 1 PCivC) and, in any event, no later than 20 years from the date of the misconduct. In cases where the misconduct is considered a crime, the limitation period will be extended to that of the crime in question. In the case of liability for breach of contract, the general limitation period applies, meaning that any claim to compensation becomes time-barred 20 years after the occurrence of the contractual breach (Article 309 PCivC). Specific professionals or acts of misconduct may by subject to special rules on limitation periods. This is the case, for instance, with directors' professional liability (subject to a five-year time limitation), liability resulting from non-compliance with rules applicable to prospectuses (subject to a six-month limitation and a two-year expiry period) and liability of financial intermediaries (subject to a two-year limitation), as described below. The limitation period generally starts to run on the date on which the claimant becomes aware of his or her right to compensation, irrespective of whether he or she has knowledge of the persons liable or the full extent of the damage incurred (which is usually the date on which a claimant becomes aware that the requirements for civil liability have been met). The running of the limitation period may be interrupted or suspended. The PCivC provides for several causes of interruption or suspension. For instance, the limitation period is interrupted by the judicial notification of a writ of summons, or of any other act that, directly or indirectly, expresses the claimant's intention to enforce his or her right to compensation. Interruption of the limitation period renders the time already elapsed without effect and restarts the applicable limitation period (Article 326 Section 1 PCivC). The new limitation period does not begin to run until a final decision is issued on the claims submitted to the court (res judicata), putting an end to the legal proceedings (Article 327 Section 1 PCivC). The PCivC also sets out several causes of suspension of the limitation period, such as the claimant being prevented from enforcing his or her right because of force majeure, during the final three months of that period, as well as the claimant not enforcing his or her right because of the fault of the liable party (Article 321 PCivC). Claims for damages based on expired rights become time-barred, which may be invoked as a defence in proceedings regarding professional liability. Professional liability claims for damages are generally brought in first instance judicial courts with jurisdiction over civil matters. The Portuguese Civil Procedure Code (PCPC) establishes the criteria for the competence of judicial (civil) courts.6 When a claim is brought under the tort liability regime, jurisdiction usually lies where the relevant facts (e.g., the unlawful misconduct) took place (Article 71 Sections 1 and 2 PCPC). When a claim is related to the performance or breach of contractual obligations, either the court of the location where those obligations should have been performed or the court of the defendants' registered office or place of residence is competent (Article 80 PCPC). In certain circumstances, professional liability claims can also fall within the scope of jurisdiction of the administrative courts. This is generally the case for professional liability claims relating to medical practitioners exercising their duties as public health providers. 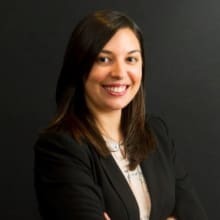 In this case, professional liability claims fall within the jurisdiction of the court where the unlawful misconduct took place (Article 18 of the Portuguese Administrative Courts Procedure Code). Judicial proceedings in both civil and administrative courts are initiated by means of a filed written petition, in which the claimant must argue the material facts constituting the cause of action. Subsequently, the defendant must present his or her defence, either asserting that the facts alleged by the claimant are not true, do not produce the consequences claimed by the claimant or that the claimant's petition must be dismissed because of some other circumstance, such as a legal objection. The claimant and the defendant must file their requests for evidence along with their pleadings. The pleadings phase is usually followed by a preliminary hearing in which procedural matters are discussed by the parties and decided upon by the judge. Witnesses and experts are examined at the trial hearing. Subsequently, the parties present their closing arguments and the court renders its decision. In litigation involving sums exceeding €5,000, the decision may be appealed to the court of appeal, and cases exceeding €30,000 may be appealed from the court of appeal to the Supreme Court of Justice. In cases where civil liability arises from damage caused by an act of misconduct considered to be a crime, damages claims generally have to be brought within the criminal proceedings and will be decided by the same court deciding the criminal issue. The claimant either files his or her damages claim within the deadline for the submittal of the indictment by the public prosecutor when he or she is a party to the criminal proceedings or within 20 days of the claimant or the perpetrator being notified of the indictment. Subsequently, the defendant must present his or her defence. The pleadings phase is followed by the trial hearing and subsequent decision by the court. The above-mentioned rules on appeals also apply here. When civil liability arises from damage caused by an act of misconduct considered to be a crime, damages claims can only be filed separately and in civil courts in limited circumstances. Professional liability claims can also generally be submitted to arbitration, as, pursuant to Article 1 Section 1 of the Voluntary Arbitration Act,7 disputes that (1) are not subject to the exclusive jurisdiction of state courts or to mandatory arbitration, and (2) involve an interest of an economic (patrimonial) nature, may be submitted to arbitration by the parties by means of an arbitration agreement. Portuguese arbitral proceedings tend not to differ significantly from judicial proceedings, which is to say that they usually have the same procedural phases (i.e., a pleadings phase followed by a preliminary hearing and subsequently by the trial hearing). Under Portuguese law, the general principle is that compensation should place the injured party in the position that he or she would have been in but for the event causing the damage (Article 562 PCivC), including for pecuniary and non-pecuniary or moral damage (restitution in natura). Whenever this is not possible, does not fully repair the damage or is excessively costly, the injured party is entitled to claim the equivalent monetary compensation for all damage caused by the unlawful misconduct, including actual loss, loss of profit and future damage, if its occurrence can be predicted (Article 564 PCivC). Pursuant to Article 566 Section 2 PCivC, pecuniary compensation for damage should compensate the difference between the claimant's financial status 'at the most recent date that may be considered by the court' and the financial status he or she would be in were it not for the damage. A claimant seeking compensation for damage is not required to specify the exact amount of the damage in the initial written petition and may formulate a generic claim in this respect when it is not possible to assess the full extent of the damage on the date the lawsuit is filed, or when the claimant warrants that it is not possible to specify the exact amount of the compensation (Article 569 PCivC and Article 556 Section 1(b) PCPC). If, in the course of the proceedings, the claimant concludes that the existing damage is of a greater amount than previously claimed, he or she may review the claim accordingly. In cases based on tort liability, the court may award compensation determined on grounds of equity for an amount lower than the existing damage when the professional's liability, based on the degree of guilt, financial status of the parties and further circumstances, justifies such an option (Article 494 PCivC). Compensation for non-pecuniary or moral damage may also be awarded. The amount of this compensation is determined on grounds of equity (Article 496 PCivC). Punitive damages are not provided for in Portuguese law8 and there is no cap on the amount of damages that can be awarded. The practice of the legal profession as a lawyer in Portugal is regulated by the statutes of the Portuguese Bar Association, approved by Law No. 145/2015 of 9 September 2015. The Portuguese Bar Association is the public professional association representing professionals who are practising lawyers acting in accordance with the Association's statutes. It ensures access to the law, regulates the profession and takes disciplinary action against lawyers and trainee lawyers. To practise as a lawyer it is necessary to be registered with the Portuguese Bar Association. The practice of law without inscription in the Portuguese Bar Association is considered a crime of usurpation of functions under the Portuguese Penal Code and is punishable with a prison sentence of up to two years or a fine of up to 240 days. As a profession subject to registration with a professional association, lawyers' liability is linked to their own disciplinary rules, and breaching these may lead to the lawyer incurring disciplinary or administrative liability, depending on whether the breaches are ethical or administrative. Lawyers are subject to the Portuguese Bar Association's statutes, which state that lawyers must, inter alia, act with honesty, probity, uprightness, loyalty, courtesy, sincerity and independence. Lawyers' liability to clients is generally considered to be based on contractual liability, although it can be based on tort liability when it arises out of ethical breaches. In any case, it should be noted that, generally, the obligation assumed by a lawyer in relation to a client is only a best-endeavours obligation and not a results obligation, meaning that the lawyer assumes the obligation to use the most suitable means and knowledge in his or her power in conducting the client's matter in accordance with the law. In other words, for a professional negligence claim to be successful, the claimant will have to demonstrate, inter alia, that the lawyers' conduct did not comply with the leges artis (best practices of the profession). The statutes of the Portuguese Bar Association set out the requirement of mandatory professional liability insurance for lawyers. The practice of medical doctors in Portugal is regulated by the statutes of the Portuguese Medical Association, approved by Law No. 282/77 of 5 July 1977, as amended. The Portuguese Medical Association is a public professional association representing medical doctors in Portugal. To practise as a doctor, it is necessary to be registered with this body. The practice of medicine without inscription in the Portuguese Medical Association is considered a crime of usurpation of functions under the Portuguese Penal Code. Medical professional liability proceedings may be brought under the rules of tort liability or contractual liability, depending on the public or private nature of the medical practice. In any case, similarly to lawyers, medical practitioners do not assume a results obligation in relation to their patients but only a best-endeavours obligation. Likewise, medical practitioners undertake to use the most suitable means in their power in treating their patients in accordance with the advances of medical science. For a professional negligence claim to be successful against a medical practitioner, the claimant will have to demonstrate that the medical practitioner's conduct did not comply with the leges artis (best practices of the profession). Medical practitioners in public hospitals and practices are generally subject to tort liability proceedings brought against them under Law No. 67/2007 of 31 December, which approved the Regime of Civil Liability of the State and Other Public Entities. Under the Regime of Civil Liability of the State and Other Public Entities, state and other legal entities governed by public law are exclusively liable for damage resulting from unlawful actions or omissions committed negligently by medical practitioners in the performance of their administrative duties and resulting from that performance. Medical practitioners are only liable when their acts or omissions are caused wilfully or when their diligence and care is significantly lower than that expected for the position they hold, with the public healthcare provider remaining jointly and severally liable. If the medical practitioners working for the healthcare institution act with the expected level of diligence and in accordance with the technical rules of medical science, they cannot be held liable, regardless of the outcome. Medical practitioners in private healthcare providers are, in the absence of specific legislation, generally subject to the general rules of contractual liability set out in the PCivC, although the rules of tort liability may also apply. Other medical practitioners such as dentists and nurses are all also regulated professions that require prior inscription with a public association and are subject to the above-mentioned rules. Private healthcare providers are required to enter into mandatory professional liability insurance policies. Although public healthcare providers are not required to enter into professional liability insurance, the Portuguese Medical Association currently offers professional liability insurance to all doctors validly registered with the Portuguese Medical Association. Lastly, professional misconduct by medical practitioners may also raise disciplinary issues (to be addressed by the relevant disciplinary body). Liability of banking and finance professionals is governed by the Legal Framework of Credit Institutions and Financial Companies (RGICSF) and the Portuguese Securities Code together with other specific regulations on these matters (for instance, Decree-Law No. 81-C/2017 of 7 July 2017 on the rules for credit intermediary activities and for providing credit consulting services) and, alternatively, by the general legal framework established in commercial and civil law (such as the Portuguese Companies Code and the PCivC). Banking professionals (including directors, managers and employees) must act with scrupulous and thorough professional diligence, neutrality and loyalty (Articles 74 and 75 of the RGICSF). Credit institutions must ensure that all their professionals comply with a high level of technical expertise (Article 73 RGICSF). The prudential assessment of the reputation of banking and finance directors is also guided by high standards for the expertise and skills required (Articles 30-D and 31 RGICSF). Decree-Law No. 81-C/2017 on the rules for credit intermediary activities and for providing credit consulting services sets similar rules on the duties of care of the professionals in these areas (Articles 45 and 66). This Decree-Law also sets out the mandatory requirement for professional liability insurance for these professionals. The Portuguese Securities Code contains several legal provisions on the high standard of the duty of care of finance professionals. The Portuguese Securities Code states that financial intermediaries and their professionals should act according to high standards of diligence, loyalty and transparency (Articles 304, 306-A and 308-B of the Portuguese Securities Code). Specifically with regard to the personal liability of banking and finance directors, note that the business judgement rule, which exempts directors from liability as mentioned above, is applicable. In this regard, the directors have the burden of proof on the relevant facts, as also mentioned above. Unless the relevant misconduct is considered a crime, directors' professional liability is subject to a five-year time limitation from the date of the unlawful misconduct, or from the disclosure of this misconduct if it has been covered up, and the causing of damage, regardless of whether or not the full extent of the damage has already occurred (regarding the liability of directors towards the company itself, the limitation period does not start to run before the end of the term of office) (Article 174 of the Portuguese Companies Code and Article 318(d) PCivC). Additionally, the Portuguese Securities Code contains several provisions on professional liability, such as the liability of specific professionals resulting from the preparation and approval of prospectuses (Articles 149 et seq. ), investment advisers (Article 301), financial intermediaries and directors (Articles 294-C, 304-A, 305-D and 324). Regarding the liability of professionals resulting from the preparation and approval of prospectuses (e.g., directors, supervisory board members, auditors and any professionals that have assessed or certified financial statements used in the prospectus), their conduct is also assessed with reference to a high standard of professional diligence and they are jointly and severally liable for damages caused by inaccurate or false content (Articles 149 Section 2, 151 and 152 of the Portuguese Securities Code). If liable professionals prove that the relevant damage was also caused by reasons other than the lack of information or forecasts contained in the prospectus, the amount of compensation will be reduced accordingly (Article 152 Section 2 of the Portuguese Securities Code). The right to compensation resulting from non-compliance with rules applicable to the prospectus must be exercised within six months of the knowledge of the fault in the prospectus content, and expires, in any case, within two years of the end of the effective term of the prospectus or its disclosure or amendment, as applicable (Articles 153 and 243 of the Portuguese Securities Code). Furthermore, investment advisory professionals (Article 301 Section 39(c) and Section 4 of the Portuguese Securities Code), real estate appraisers that render services for banking, insurance and finance institutions and pension funds (Law No. 153/2014 of 14 September 2014) must enter into mandatory professional liability insurance policies. Executive or remunerated directors appointed for companies that issue securities admitted to trading on a regulated market and companies that fulfil certain minimum requirements on business operations and number of employees must be secured by means of a proper security for the amount of at least €250,000. This security may be replaced by a director and officer's professional insurance policy (Article 396 of the Portuguese Companies Code). Lastly, specific professional misconduct of banking and finance professionals may be considered an administrative infraction pursuant to the RGICSF, Portuguese Securities Code and other specific legal regulations. The Bank of Portugal and the Portuguese Securities Market Commission (CMVM) have jurisdiction to conduct and decide on administrative infringement proceedings regarding these matters, as applicable. Administrative infractions may be punished, inter alia, by warnings, fines and ancillary sanctions; for example, a prohibition against providing banking and financial activities for a certain period (applicable to both companies and individuals). Administrative infractions are subject to specific time limitations. There are no specific rules under Portuguese law governing the professional liability of computer and information technology professionals. In the absence of specific legislation, the liability of these professionals is generally subject to the general rules of contractual liability set forth in the PCivC. Rules of tort liability may also apply when there is not a contract in place between the professional and the injured party (e.g., when there is an accidental disclosure of personal data of an individual who has not entered into a contract with the computer and information technology professional). In Portugal, the taking-up and pursuit of business by real property surveyors who render services for banking, insurance and finance institutions and pension funds is governed by specific rules defined by the CMVM and approved by Law No. 153/2015 of 14 September 2015. These professionals are liable towards the contracting entity, its shareholders or participants in collective investment entities, banking clients, insurance policyholders, insured persons and beneficiaries of insurance contracts, and towards members, participants and beneficiaries of pensions funds for any damage arising from errors or omissions contained in evaluation reports attributable to them (Article 16 of Law No. 153/2015 of 14 September). Real property surveyors must take out mandatory professional liability insurance policies. Lastly, real property surveyors are subject to the oversight and disciplinary action of the CMVM. The execution of public works in Portugal is governed by Decree-Law No. 18/2008 of 29 January 2008, which enacted the Public Contracts Code, as amended. Construction works that are procured by private entities are governed by the PCivC. Construction activities are governed by several legal instruments, such as (1) Law No. 41/2015 of 9 January 2015, which establishes the framework applicable to the undertaking of construction activities, and (2) Decree-Law No. 555/99 of 16 December 1999 as amended, which sets out the legal framework for urbanisation and building. The contractor may be liable to the party who commissioned the works or to the purchaser of a building for losses caused by and arising from: (1) the collapse of the building due to problems with the land or the construction; (2) repairs carried out or changes to the construction; (3) faults during the construction; or (4) defects in the building that appear within five years of completion of the works or any repairs. The collapse or defects in the construction must be notified to the contractor within one year of the date of the collapse or the defects becoming known, and any indemnity must be claimed within the subsequent year. The liability of construction professionals can fall under contractual liability, for breach of the construction contract, as well as under tort liability, for breaching the rights of third parties. Except for the limitation period of five years regarding claims for defects, the general limitation period of 20 years applies. With respect to construction activities, only work-accident insurance is mandatory, pursuant to Law No. 41/2015. Notwithstanding this, it is usual for parties who commission works to request the existence of a more comprehensive insurance policy. In certain circumstances, Law No. 41/2015 requires that contractors must prove their economic capacity to execute some types of works; the contractor may circumvent this by taking out a civil liability insurance policy covering an amount equal to the amount of the works to be executed. Furthermore, Law No. 31/2009 of 3 July 2009 establishes the framework for technicians responsible for: coordinating, drafting and underwriting projects; inspection of public and private works; and management of such works; it is also mandatory for these technicians to take out professional liability insurance policies. Regarding the performance of duties in connection to the public interest (for instance, audit companies and the issuance of relevant legal audit reports), auditors are liable towards audited companies and third parties in accordance with the terms and conditions set out in the Portuguese Companies Code and other relevant corporate legal provisions. Except for these services in connection to the public interest, auditors' liability for minor acts of negligent misconduct may be excluded under the terms and conditions set out in civil law (the exclusion of liability for gross negligent professional misconduct is void) (Article 115 of the Statutes of the Statutory Auditors Association and Article 82 of the Portuguese Companies Code). Auditors should act independently and in accordance with the best practices, in accordance with national and international auditing rules (including the International Standards on Auditing (ISA)) and maintain professional scepticism (Articles 61 and 70 of the Statutes of the Statutory Auditors Association and ISA 200 on the overall objectives of the independent auditor and the conduct of an audit in accordance with the ISA). Auditors are also bound to duties of disclosure and whistle-blowing resulting from their monitoring duties (Article 304-C of the Portuguese Securities Code, Article 420-A of the Portuguese Companies Code, Article 79 of the Statutory Auditors Association and Articles 4 Section 1(e), 11 Section 1(c) and 43 et seq. of the Law on the Prevention of Money Laundering and Terrorist Financing). In the event of failure to comply with these duties, and where the general requirements on auditors' liability are met (e.g., serious or negligent misconduct), auditors will be held liable. Auditors' liability towards audited companies falls under contractual liability for damage caused by their serious and negligent misconduct (Article 82 Section 1 of the Portuguese Companies Code). Regarding companies that are issuers of securities, Article 10 of the Portuguese Securities Code expressly states that auditors will be jointly and severally liable for shortcomings in their audit reports and opinions. In any case (professional liability in relation to audited companies, their creditors or third parties), auditors are not subject to strict liability. Therefore, auditors cannot be held liable for all failures (for instance, shortcomings in the financial statements) regardless of wilful or negligent misconduct.14 In this regard, it is common for auditors to argue that they were not provided with the relevant financial information during auditing proceedings. Unless an act of misconduct is considered a crime, auditors' professional liability is subject to a five-year time limitation from the date of the unlawful misconduct, or from the disclosure of this misconduct if it has been covered up, and the causing of damage, regardless of whether or not the full extent of the damage has already occurred (Article 174 of the Portuguese Companies Code). Auditors may also be held liable for prospectuses according to the terms described above with regard to finance professionals. It is mandatory for auditors to take out professional liability insurance policies. Usually, these insurance policies are taken out through the Auditors Association (Article 87 of the statutes of the Statutory Auditors Association and Article 10 of the Portuguese Securities Code). Lastly, professional misconduct by auditors may raise disciplinary issues (to be addressed by the Statutory Auditors Association) and may be considered administrative infractions that should be addressed in the scope of administrative infringement proceedings to be conducted, for instance, by the Supervising Authority for Insurance and Pension Funds (ASF), the Bank of Portugal or the CMVM, as applicable. Administrative infractions are subject to specific time limitations. Accountants' professional duties and liability are governed by the statutes of the Chartered Accountants Association and, alternatively, by Law No. 53/2015 of 11 June 2015 on the legal framework of professional corporations regulated by professional public associations and statutes of professional public associations. Chartered accountants must act in accordance with best professional practices, independent criteria and subject to whistle-blowing obligations on public crimes and money laundering (Articles 70, 76 and 121 of the Statutes of the Chartered Accountants Association, Articles 2–4 of the Code of Ethics and Articles 4 Section 1(e), 11 Section 1(c) and 43 et seq. of the Law on the Prevention of Money Laundering and Terrorist Financing). In the event of failure to comply with these duties, where general requirements on liability are met, chartered accountants will be held liable. Lastly, the professional misconduct of auditors may also raise disciplinary issues (to be addressed by the Chartered Accountants Association). The pursuit of the insurance and reinsurance business is governed by Law No. 147/2015 of 9 September 2015, which implemented the Solvency II Directive, while insurance and reinsurance intermediation activities are mainly governed by Decree-Law No. 144/2006 of 31 July 2006 as amended (which implemented the Insurance Mediation Directive into Portuguese law). It is mandatory for insurance and reinsurance intermediation professionals, such as intermediaries, agents and insurance brokers, to take out professional liability insurance policies (Decree-Law No. 144/2006 of 31 July 2006). Professional liability cases involving banking and finance professionals have been increasing in recent years as a result of the financial crisis of the past decade. The past year was still marked by litigation resulting from the resolution measure applied by the Bank of Portugal to the Banco Espírito Santo, SA (BES) in August 2014 and its impact on clients' investments (both the clients who invested directly in BES and the clients who invested in the non-financial branch of the Espírito Santo Group upon the intermediation of BES). The biased media coverage on this case also triggered several judicial proceedings for professional liability related to BES. Several civil liability proceedings are still pending and a significant number of cases were dismissed because the legal requirements were not even properly argued, or because of a lack of proof of unlawful conduct and lack of evidence of the required causal link. In addition, although in Portugal there are no official statistics on medical negligence, there has been a considerable increase in the number of cases of alleged medical negligence in recent years. For instance, in 2017, the office of the Public Prosecution Service in Lisbon opened 60 criminal investigations into medical negligence.17 Nevertheless, medical negligence cases also raise significant difficulties, both in terms of the proof of unlawful conduct and the evidence of the required causal link. The losses resulting from the financial crisis in recent years indicate that professional liability cases in the banking and financial sectors will continue to mark the upcoming year. 1 Adriano Squilacce is a senior associate and Nair Maurício Cordas is an associate at Uría Menéndez –Proença de Carvalho. 2 Ruling issued by the Supreme Court of Justice on 7 February 2017, Case No. 4444/03.8TBVIS.C1.S1, www.dgsi.pt (a different understanding was upheld in the ruling issued by the Supreme Court of Justice on 22 September 2011, Case No. 674/2001.PL.S1, www.dgsi.pt). 3 See the ruling issued by the Appeal Court of Lisbon on 8 May 2014, Case No. 220040/11.OYIPRT.L1-8, www.dgsi.pt. 4 See the rulings issued by the Supreme Court of Justice on 2 November 2017 and 5 February 2013, Case No. 23592/11.4T2SNT.L1.S1 and Case No. 488/09.4TBESP.P1.S1, www.dgsi.pt. See also Orlando Guedes da Costa, Responsabilidade Civil Profissional, March 2017, Centro de Estudos Judiciários, pp. 190 et seq. 5 See ruling issued by the Portuguese Supreme Court on 22 May 2013, Case No. 2024/05.2TBAGD.C1.C1, www.dgsi.pt. 6 Pursuant to the PCPC, Portuguese courts are deemed to be internationally competent when (1) according to the applicable rules on territorial jurisdiction the claim may be filed in a Portuguese court; (2) the facts constituting the cause of action have taken place in Portugal; (3) the claimant's rights may only be made effective by an action filed in Portuguese courts or initiating the lawsuit in a foreign country may impose significant difficulties for the claimant, provided there is a strong element of connection between the claim and the Portuguese legal system (Article 62 PCPC). Regulation (EU) 1215/2012 (Recast Brussels Regulation) also applies to the issue of jurisdiction in claims brought against defendants who are domiciled in other EU Member States. 7 Law No. 63/2011 of 14 October 2011. 8 Ruling issued by Supreme Court of Justice on 25 February 2014, Case No. 287/10.0TBMIR.S1, www.dgsi.pt. 9 Ruling issued by the Supreme Court of Justice on 17 March 2016, Case No. 70/13.1TBSEI.C1.S1, www.dgsi.pt. 10 See the ruling issued by Appeal Court of Guimarães on 29 January 2015, Case No. 275/10.7TBPTB.G1, www.dgsi.pt. See also Gonçalo André Castilho dos Santos, A Responsabilidade Civil do Intermediário Financeiro perante o Cliente, CMVM – Estudos sobre o Mercado de Valores Mobiliários, Almedina, 2008, p. 256. 11 Regulation (EU) 2016/679 of the European Parliament and of the Council of 27 April 2016 on the protection of natural persons with regard to the processing of personal data and on the free movement of such data, and repealing Directive 95/46/EC. 12 Gabriela Figueiredo Dias, Fiscalização de Sociedades e Responsabilidade Civil, Coimbra, 2006, pp. 93–94. 13 Gabriela Figueiredo Dias, Fiscalização de Sociedades e Responsabilidade Civil, Coimbra, 2006, pp. 70–73, and Tiago João Estêvão Marques, Responsabilidade Civil dos Membros de Órgãos de Fiscalização das Sociedades Anónimas, Almedina, 2009, pp. 173–176). 14 Gabriela Figueiredo Dias, Fiscalização de Sociedades e Responsabilidade Civil, Coimbra, 2006, p. 57, and Ezagüy Martins, A Responsabilidade Civil dos Revisores Oficiais de Contas e dos Técnicos Oficiais de Contas, Responsabilidade Civil Profissional, March 2017, Centro de Estudos Judiciários, p. 223. 15 See the ruling issued by the Supreme Court of Justice on 10 July 2012, Case No. 5245/07.0TVLSB.L1.S1, and the ruling issued by the Supreme Court of Justice on 26 April 2012, Case No. 417/09.5TBVNO.L1.S1, www.dgsi.pt. 16 The CMVM also has some supervisory powers in respect of rules of conduct relating to unit-linked life insurance products and transactions.